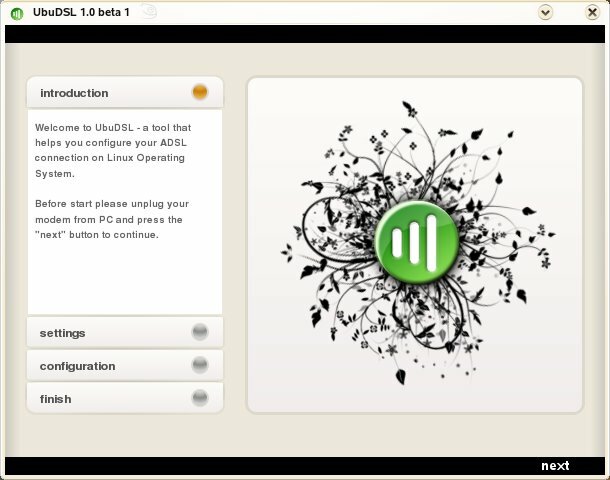 UbuDSL is a tool that helps users to configure their ADSL modem and connection under Ubuntu (and most of Ubuntu-based) distributions. It supports USB ADSL modems working under the following drivers: ueagle-atm, speedtch, cxacru, unicorn II. It doesn’t work with Ubuntu 10.04. Is this work in Ubuntu 11.04?